K. Krupiński, L. Newelski, On bounded type definable equivalence relations ps, Notre Dame Journal of Formal Logic (43), 231-242, 2002. K. Krupiński, Products of finite abelian groups as profinite groups ps, Journal of Algebra (288), 556-582, 2005. K. Krupiński, Abelian profinite groups ps, Fundamenta Mathematicae (185), 41-59, 2005. T. Blossier, K. Krupiński, A special thin type ps, Illinois Journal of Mathematics (49), 281-290, 2005. K. Krupiński, Profinite structures interpretable in fields ps, Annals of Pure and Applied Logic 142, 19-54, 2006. K. Krupiński, F. Wagner, Small profinite groups and rings ps, Journal of Algebra (306), 494-506, 2006. C. Ealy, K. Krupiński, A. Pillay, Superrosy dependent groups having finitely satisfiable generics pdf, Annals of Pure and Applied Logic (151), 1-21, 2008. K. Krupiński, Fields interpretable in rosy theories ps, Israel Journal of Mathematics (175), 421-444, 2010. K. Krupiński, Fields interpretable in superrosy groups with NIP (the non-solvable case) ps, Journal of Symbolic Logic (75), 372-386, 2010. K. Krupiński, Some model theory of Polish structures ps, Transactions of the American Mathematical Society (362), 3499-3533, 2010. K. Krupiński, Generalizations of small profinite structures pdf, Journal of Symbolic Logic (75), 1147-1175, 2010. K. Krupiński, A. Pillay, On stable fields and weight pdf, Journal of the Institute of Mathematics of Jussieu (10), 349-358, 2011. K. Krupiński, On relationships between algebraic properties of groups and rings in some model-theoretic contexts pdf, Journal of Symbolic Logic (76), 1403-1417, 2011. K. Krupiński, On $\omega$-categorical groups and rings with NIP pdf, Proceedings of the American Mathematical Society (140), 2501-2512, 2012. J. Dobrowolski, K. Krupiński, On $\omega$-categorical, generically stable groups pdf, Journal of Symbolic Logic (77), 1047-1056, 2012. J. Dobrowolski, K. Krupiński, On $\omega$-categorical, generically stable groups and rings pdf, Annals of Pure and Applied Logic (164), 802-812, 2013. K. Krupiński, F. Wagner, Small, nm-stable compact G-groups pdf, Israel Journal of Mathematics (194), 907-933, 2013. K. Krupiński, P. Tanović, F. Wagner, Around Podewski's conjecture pdf, Fundamenta Mathematicae (222), 175-193, 2013. K. Krupiński, A. Pillay, S. Solecki, Borel equivalence relations and Lascar strong types pdf, Journal of Mathematical Logic (13), 1350008 (37 pages), 2013. J. Dobrowolski, K. Krupiński, Locally finite profinite rings pdf, Journal of Algebra (401), 161-178, 2014. T. Gogacz, K. Krupiński, On regular groups and fields pdf, Journal of Symbolic Logic (79), 826-844, 2014. K. Krupiński, Superrosy fields and valuations pdf, Annals of Pure and Applied Logic (166), 342-357, 2015. 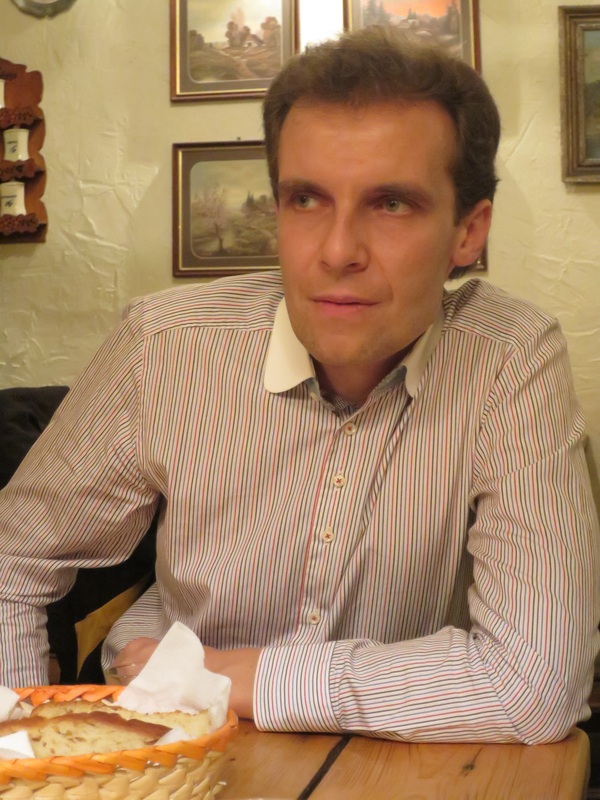 J. Gismatullin, K. Krupiński, On model-theoretic connected components in some group extensions pdf, Journal of Mathematical Logic (15), 1550009 (51 pages), 2015. K. Krupiński, T. Rzepecki, Smoothness of bounded invariant equivalence relations pdf, Journal of Symbolic Logic (81), 326-356, 2016. K. Krupiński, A. Pillay, Generalized Bohr compactification and model-theoretic connected components pdf, Mathematical Proceedings of the Cambridge Philosophical Society (163), 219-249, 2017. K. Krupiński, Definable topological dynamics pdf, Journal of Symbolic Logic (82), 1080-1105, 2017. K. Krupiński, A. Pillay, T. Rzepecki, Topological dynamics and the complexity of strong types pdf, Israel Journal of Mathematics (228), 863-932, 2018. K. Krupiński, A. Pillay, Amenability, definable groups, and automorphism groups pdf, Advances in Mathematics (345), 1253-1299, 2019. K. Krupiński, L. Newelski, P. Simon, Boundedness and absoluteness of some dynamical invariants in model theory pdf, submitted. K. Krupiński, T. Rzepecki, Galois groups as quotients of Polish groups pdf, submitted. E. Hrushovski, K. Krupiński, A Pillay, Amenability and definability pdf, submitted. Borel complexity of the relation of being in the same Lascar strong type, model theoretic connected components (collaboration with I. Kaplan and T. Rzepecki). Topological dynamics in model theory (collaborations with: A. Chernikov, J. Lee, S. Moconja, A. Onshuus, A. Pillay, P. Simon). Model-theoretic connected components (with J. Gismatullin and G. Jagiella). $\omega$-categorical groups (collaboration with D. Macpherson). Quasi-minimal structures (collaboration with S. Moconja). A 2-year postdoc in model theory is available in Wrocław pdf.